Please make sure to send us the correct measurements, if you need help please call us! Click on the links above for the way that you want to find your measurements. Below are a few extra tips if you need them. Gently wrap the measuring tape around the neck leaving room for 2 fingers between the neck and collar. Have someone measure you from the center of your neck, and measure across the high point of your shoulder and down your arm to the wrist bone. Measure the fullest part of the chest under the arms keeping the tape parallel to the floor. Wrap the tape around the chest over the biceps, snugly but not tight. This measurement should be taken at the same place as the chest. This is not necessarily the size of your pants, you still need to measure! Have someone measure you where your pants would normally sit around your waist. Make sure that you are not wearing a belt. Have someone measure you at navel height from just beneath the top of the hip bone all the way down the outside of the leg to the length desired. 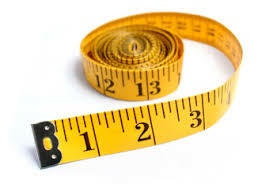 If you follow all of these measuring tips then we will be able to make you look like a model, well…. we will send you the tuxedo our models are wearing and you can make them worried about job security. Please double check your measurements before you send them because they are the only sizing guide that we can go by. If you decide to not have your tuxedo altered by us we still need these measurements to send your tuxedo. Remember if you have any questions, we are a phone call away.